It's 2 a.m. and I'm blogging from Las Vegas and the SIA show. Having never been here, I've quickly decided this town is crazy! Everything is off to a great start though. 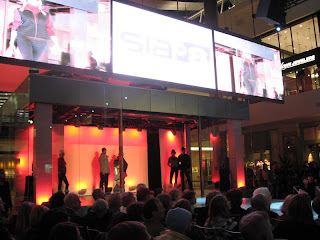 We attended the SIA Snow Fashion Show tonight and saw some of the outerwear trends for the next year. There's some really exciting stuff coming out. 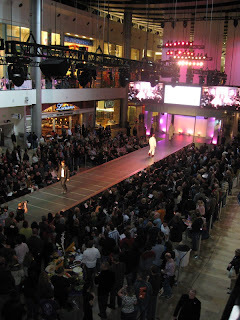 On a side note- it was pretty funny watching models try to do their runway strut in ski boots! Tomorrow the actual show begins. I'll have pictures from the show....after I sleep in and swing by a Starbucks!